DSM has introduced DelvoFresh YS-140, a new culture in the company’s range for stirred yogurt that creates premium, creamy yogurts with a mild taste. The new culture lines up with consumer demand for premium yogurts which offer all the health and nutrition they expect with an indulgent, creamy taste for a special treat. In addition to the nutritional benefits of yogurt, taste and indulgence are becoming increasingly important to modern consumers. Yogurts that are marketed as providing “double indulgence” or having a “soft and creamy texture” are increasingly popular and evidence of opportunities for further differentiation in the yogurt market. The new DelvoFresh YS-140 culture for stirred yogurts has been carefully selected to produce a creamy yogurt with a velvety mouthfeel and mild taste that consumers are after in today’s market. Innova Market Insights reports a +11 percent average annual growth in global dairy launches with an indulgent & premium claim (CAGR 2012-2017). Specific texture marketing words such as silky (+16 percent) are among those with the highest growth in global dairy launches (2017 vs. 2016). DSM sees premiumization as a major trend in almost all regions that traditionally consume yogurts, such as Europe, North America, and Latin America. “Consumers are looking for more differentiated yogurt types and new products, and there is a clear consumer preference for yogurts with high creaminess and a mildness not only just after production, but until the end of shelf-life. We see the largest growth opportunities in Europe, North America, and Latin America, mainly in flavored stirred yogurts and yogurts with fruit preparations,” Saltini tells FoodIngredientsFirst. In terms of technical considerations to keep in mind, Saltini explains how formulating this culture has been very challenging. “Usually, the strains that give a high creaminess also create acidic notes, making it a choice between having a creamy yogurt, or a mild flavor. Our R&D team has been working intensively on the development of this new culture, so that from today yogurt producers can create creamy yogurts without having to compromise on mildness. DelvoFresh YS-140 is unique in providing that right balance,” he notes. “Working with DSM means working with a global leader and true expert partner in dairy cultures and enzymes. 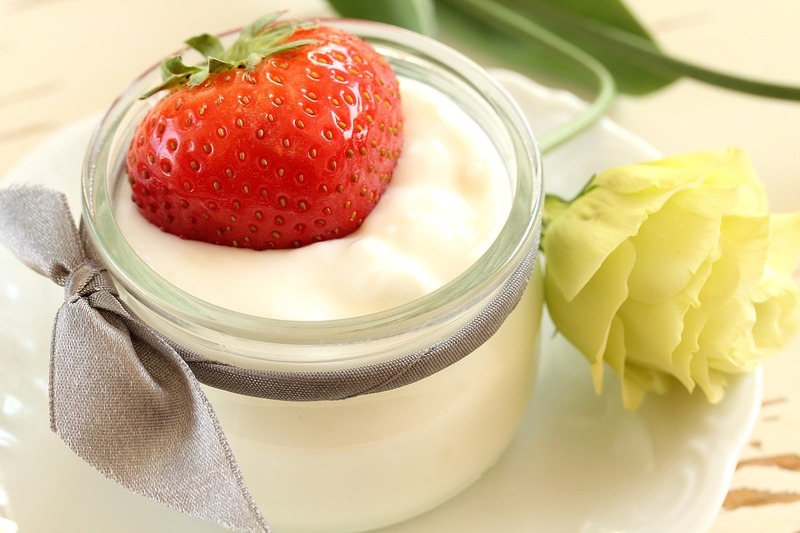 DSM offers yogurt manufacturers a high quality and cost-effective portfolio of dairy solutions, including DelvoFresh cultures and Maxilact leading lactases for lactose-free and sugar-reduced dairy. DSM is driven to enable better food for everyone. Like our customers, we believe that better dairy products should be safe, healthier, fresh-looking, indulgent, convenient, and produced in an efficient and sustainable way – today and in the future,” the company writes in its promotion.